When I was a child, my parents would take me out of school on my birthday, and we would go to Disneyland. The biggest reason for it, was Disneyland had only been an hour from my house when I lived in California. My family would go to the park and spend the entire day riding on every ride we could get on. Unfortunately, my sister and I were too short to ride the roller coasters at the time, so we usually ended up riding the Pirates of the Caribbean and the Haunted House ride millions of times. Unfortunately, that tradition has faded away due to the closest Disney Park being a 2 hr plane flight away, or a 9 hr car drive, which I would not recommend if you are trying to study or catch up on sleep. Anyway, a few weeks ago, my family and I were watching the morning news channel during breakfast, when a news report came on saying that Disney was having tourist problems. By problems, I mean dead people problems. 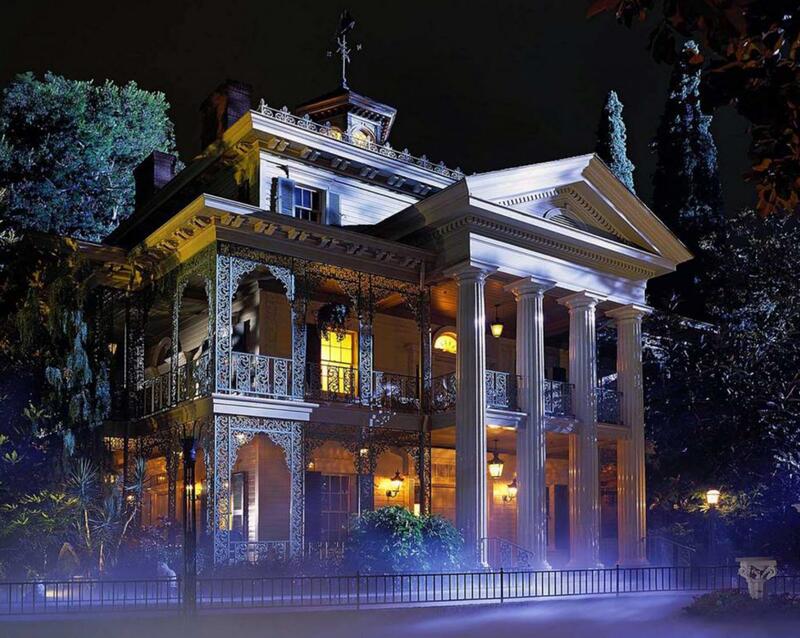 Apparently, for years now, Disney has been finding that many tourists that come into their parks are dumping the ashes of their dead loved ones in the Haunted House ride inside their amusement parks. The first question that most people ask themselves is why? According to the Wall Street journal, most people dump the ashes in Disney to allow their loved ones to be “eternally” happy inside the “Happiest Place On Earth.” Most families will spend the day at Disney and spread bits and pieces of the ashes in various locations that were meaningful to love ones. A women who made herself anonymous said that she had actually jumped off the “It’s A Small World Ride” to dump the ashes of her mother in the Irish section of the “It’s a Small World After All” ride. She jumped off the boat, and dumped the ashes in front of a singing doll that had made her mother cry. This honestly sounds quite thoughtful in retrospect, unfortunately, it is quite revolting to think about as well. This is because thousands of kids attend the parks each day, and they hate washing their hands. Whatever is on their hands they are eating, including the ashes of someone’s loved one. The next question many ask is how? Most people know that Disney is tight with security. You can not enter the park without your bag being searched and your fingerprint being inputted into a security system. “ Smugglers say getting the ashes past security is easy if they are transported in prescription-pill bottles or makeup compacts. Others hide Ziploc bags at the bottom of a purse or knapsack.” The Wall Street Journal, said. Well, if you are planning on smuggling ashes into the parks, I recommend trying any of these methods, since they have worked most of the time. However, Disney has started to amp up security behind finding the people who dump ashes into the park. With their new fingerprint scanners at the entrance of the park, Disney can easily scan your fingerprint and it will put you on a no enter list. Meaning that the next time you come to the parks, you will be prohibited from entering, due to your fingerprint being on the Disney’s most wanted list. (A.K.A the you can not enter list). Finally, you are probably wondering which attraction in the parks and what code name many of the staff members use for the ashes. The code name is HEPA cleanup, or “code Grandma” to the employees. It is used most frequently at the Haunted house attraction in the park. Since the ride is based off of the ghosts and spirits of passed people, it makes the ideal spot for people to dump ashes into the already set up graveyard around the attraction. Many actually dump the ashes while riding the ride, which also contains a graveyard with in the attraction. “I think it is both sweet and disturbing that people dump their dead ashes in the Haunted House.” Alexis Lyons, freshmen, said.